Teatro alla Scala in Milan is one of the world’s most famous and beautiful opera houses in the world. 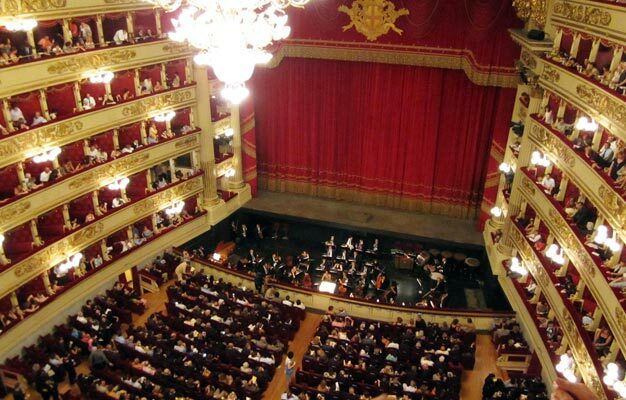 A visit at La Scala to see an opera or a ballet will make you Milan visit complete. Teatro alla Scala, better known as simply La Scala in Milan opened in 1778, and is one of the most famous opera houses in the world. See the floor plan over La Scala here! See the plan over the boxes in La Scala here! Category 7: The brown seats you find in the floor plan. Please note they are with limited view. Category 2 to 6: The green, blue and pink seats you find in the floor plan. Category 1: The yellow seats you find in the floor plan. We can't guarantee specific seats, but we guarantee you will be placed in the category you choose. - Your tickets will be delivered to your hotel. The tickets will be delivered the day before the show. It is very important that the information you give when you order your tickets are 100% accurate, since we don't check them, but deliver your tickets solely based on the information you give us. - Category 7: The brown seats you find in the floor plan. Please note they are with limited view. 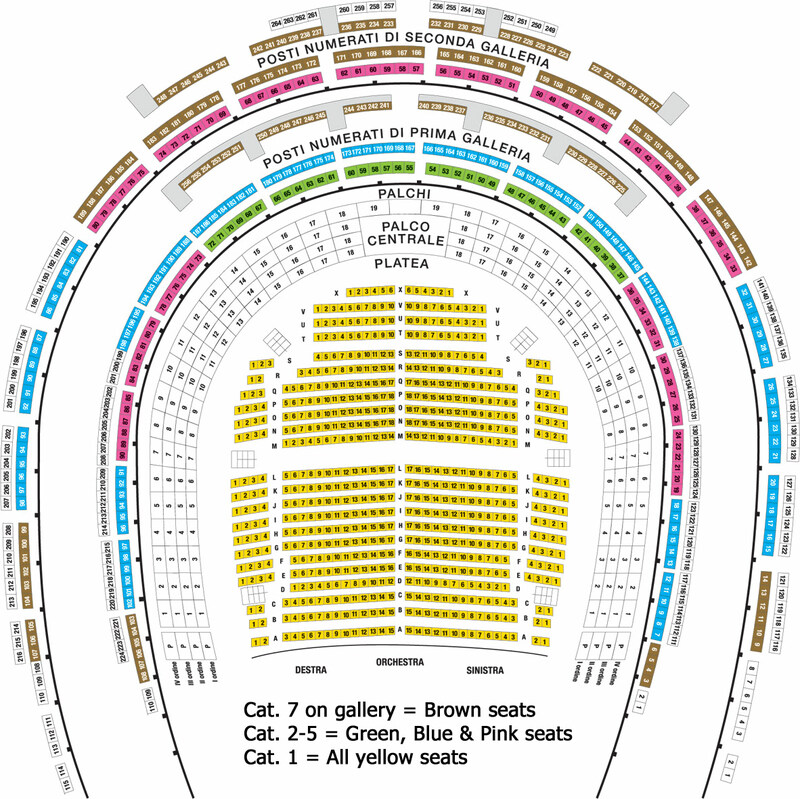 - Category 2 to 6: The green, blue and pink seats you find in the floor plan. - Category 1: The yellow seats you find in the floor plan. - The price you pay are including sales fees for the venue, our agent and us. Our agent ItaliaTeam is the official partner for La Scala in Milan, and therefore all prices (including fees) have been approved by both ItaliaTeam and the venue. The sales fees for the venue, ItaliaTeam and us means that you can experience a large difference for some opera shows between the price you pay here and the price printed on the ticket you receive. Included in the price is also delivery to your hotel as well as sales taxes and tax. - In the case of cancellation due to strike or other unforeseen occurrences, only the tickets' value will be refunded. That means various ticket fee will not be refunded. - We don't sell of children's or senior tickets for Teatro alla Scala. Open on various dates. Performance time is usually at 07.00PM or 08.00PM – but performance time can change!